Entertain in real splendour this summer against the stunning backdrop of the Palace’s East Front Gardens in one of our lavish Waterside Gazebos. 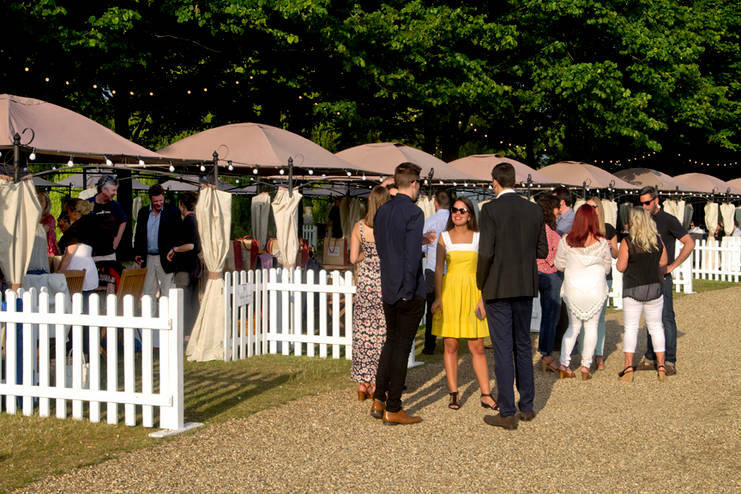 Whether you're enjoying our delicious Fortnum & Mason Picnic or are bringing your own, entertaining clients or enjoying the evening with friends, the Waterside Gazebos are a perfect way to add a little luxury to your evening. Each exclusively hired gazebo includes an elegant alfresco dining table with six chairs (standing 10 people maximum) and beautiful table lanterns. Dedicated waterside staff members will be on hand to assist you with additional refreshments if required from our East Front bars. All beverages, snacks and Fortnum & Mason Picnics can be pre-arranged prior to your visit, making your evening stress-free. A Waterside Gazebo one-night hire is £225 (inclusive of VAT). There are only a limited number of Waterside Gazebos available and are booked on a first come first serve basis.